Season 1. Episode 2 with Manuel Romero. Listen to the podcast. Don't forget to subscribe! This podcast features an interview with Manuel Romero. Manuel Romero was Chief of Scouting for Real Madrid in Catalonia, Spain. He has discovered and scouted hundreds of youth players who have reached professionalism in La Liga and other elite leagues. Some of the people he discovered include Kiko Casillas (Real Madrid), Dani Jarque (RCD Espanyol), Aleix Vidal (Barcelona FC), and Mariano Diaz (Olympique de Lyon). Let's move onto a different segment of this discussion with Manuel Romero. Welcome again! Why don't we talk a bit about how the level of players in Spain and the level of play in Spain compares to levels in other countries. And, I will give you an example of what I'm asking about. For example, a player who may be in second division B in Spain, has been known to be recruited to the Premier league in England. And, that may appear to be a big jump, but it may not be necessarily be true because of the high level of play in Spain. So, can you talk a bit more about the levels in Spain and how they compare to other countries? Guest: Well, the truth is that the Spanish championship (LaLiga) now has a lot of potential. The proof is that Spanish clubs are always fighting for the titles in European competitions, always, when in years past, it was the English who dominated, or in their time too, the Italians, or even the Germans with Bayern Munich. In recent years or in the last decade, it can be said that Spanish football has been the one that has reigned in Europe. When it was not Real Madrid, it was Barcelona, if not Sevilla, Atlético Madrid has also won the Europa League. The best players are always wanting to come to the Spanish league, even though they do not have as much money as the Premier League. Also as many more foreign players come more often to play in Spain, many players with first division experience or first division level have had to go to play in second division teams. To all this you add the players who come from the academy system because every time they work better in the academies, and more and more academies produce more players for the first teams in their clubs. All that comes together and, in the end, creates a trickle down filter that makes the second division increasingly end up with more high level players and everything is more competitive. And, it is increasingly difficult to win. Which gives an index of the competitiveness that exists. In fact, when you try to come up with predictions about what matches to bet on, you may have a team from lower (on the table) going against one of the teams on top, but you know that you will see competition. It's not the case that the top team will win easily without striving. Normally the top team will win but it will have to make the effort. If the top team does not try hard, it will get shocked and won’t win. Because the most inferior team has their weapons strategically, works very well physically, and I believe that tactically they work very well too. And the teams study their competition thoroughly and everyone is prepared to try to give their best.
" (Messi) was lucky. He went to Barcelona for three weeks and people did not pay much attention to him. But he was lucky that Charly Rexach (Right side next to Romero) went to see him for one training session and said 'this guy is going to stay in Barcelona by any means' because he had attributes that others did not have. If at that time Rexach had not seen him, probably the boy would’ve return to Rosario with his family in Argentina." Romero speaking about the luck factor. The coaches worry about arming their squads with the right players. They study and go see their rivals play to win and to select players a lot more. The teams plan strong preseasons. They utilize technology and work a lot with video. They have better physical preparation too. They take better care of nutrition. They work more on the psychological aspect. I think there has been a lot of improvement in terms of team preparation. It has improved a lot from the academy to the first squad. And of course, when the player goes on the pitch, the player is able to perform much better because he is much better prepared in all aspects: tactically, technically, physically, mentally. And the players also worry about weight control, recovery, etc., which are factors that also have their influence. Host: Given the plethora of talent within Spain, what is the path, do you think, for a foreign player to be competitive within the Spanish system? Guest: It depends a lot on the age at which they arrive here (in Spain). When younger they arrive the more they will adapt and, in the end, they will grow just like any other child here. It depends a lot on how old the player is here. If he comes to develop here, he has a good chance of developing as a child from here. And of course, if he has talent and personality, he can even overcome the locals and be better. There are many examples, the most important is Leonel Messi who came when he was 12 years old and has become the number one player in world football. I believe that adaptation, personality, talent and especially the age a boy comes to work here is very important. Well I believe that any boy can develop in any country. But in principle it is important to guard the formative stages. It's like when you go to school, training formative years are essential so that you can be well prepared for university. Well in football is the same. It’s not much of a great secret. I think the important thing is that the boy has capabilities and personality. Host: What you're saying makes a lot of sense. But I just wonder when you mentioned how some Spanish coaches would go to other countries and bring that expertise out, but do you think there is any substitute for foreign players coming in and being part of the culture and part of the system in Spain? Guest: Obviously, if you are training everyday with high-quality players (in Spain), it's normal for your level to improve. That's clear. The challenge is that the FIFA regulation puts a lot of obstacles with bureaucracies for a boy to come to Spain to compete. And, he must meet a series of requirements that are not easy. You need an expert to help. The ideal scenario is to be with the best players of your age group because that will undoubtedly make you evolve into a better player. Host: We will continue talking about the Spanish development system after this. 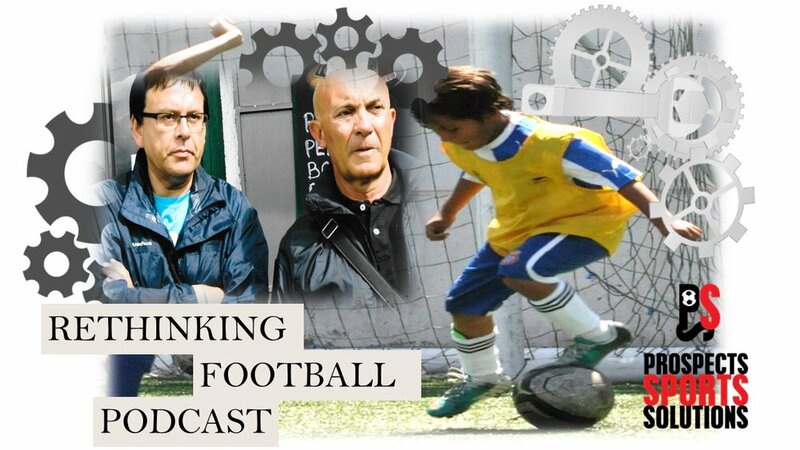 Host: Welcome back to Rethinking Football. We are talking to Manuel Romero about what makes the Spanish player development system arguably the best system in the world. Host: With all your years of experience, can you tell us a little bit about what it is you look for in a player when you are scouting talent? First of all is body growth: you have to look this physical factor fundamentally because we can’t not count on a boy for only one year. We have to close our eyes and imagine what that boy will be in X number of years and see if he has the conditions to fit in the future. Then it's technical quality: reading how the game develops is fundamental. Understanding the way a game develops and make decisions because if you understand how the game develops you can always make the best decision. And, to always know how to act with the ball and without the ball. I really like talking to the players I’m interested in before signing them to see how they express themselves, how they look at me. Try to guess, by talking to them, if they have personality or not, because intelligence and personality is very important. Well, other factors weigh in too, such as good luck, that the coach of the club is giving you attention, and knows how correct your shortcomings to evolve your game. The work of scouts is very important to detect where the talent is, but then you have to develop that talent. So first it's finding the talent. And from that point on, to help develop that talent is a matter of the work between the coach and the player, and the work the player himself puts in. He has to be aware every day that this is a long distance race. That you have to strive to improve, especially the things you do not know how to do. And you must know this whole process cannot be achieved by tomorrow. I think it is very important that coaches know how to transfer knowledge and correct. And, above all, know how to be honest and fair. And although sometimes it hurts the player, tell the player the truth when he makes mistakes. Tell him that they have done poorly and why they have done it poorly. Besides players like when they are told that they are doing a good job. Although normally the footballer already knows when he is doing things well and knows when he is not doing too well. Then all that process can help evolve the boy and achieve his goal to become a professional and remarkable player. Host: Where do you stand on the debate of nature versus nurture? Are players born to be professionals or can you develop one? Guest: I believe that regarding the in matter of "The footballer is made vs the footballer is born one" I think there's a bit of both. There are people who are born to be footballers but then have to evolve. You also have to understand that you need a bit of luck throughout your journey. For example, in Messi’s case, the story goes that when he came here, he was a boy with delayed growth. And, if he had not had access to the injections to help him grow maybe he would not had been able to compete at the elite level in which he has competed and become the great star that he is. Undoubtedly the boy had talent. If not, no amount of medical help and support would have helped him get ahead. He was lucky. He went to Barcelona for three weeks and people did not pay much attention to him. But he was lucky that Charly Rexach went to see him for one training session and said, "This guy is going to stay in Barcelona by any means,” because he had attributes that others did not have. If at that time Rexach had not seen him, probably the boy would’ve returned to Rosario with his family in Argentina. And, now he would be a player of La Luz or some other team from Argentina. Or he may not had reached the high levels in Argentine football . The luck factor is always important. "...while in Badalona when Mariano completed his physical development and began to stand out in the Juvenil category. And that's where I was fixated on bringing him to Madrid because he was a type of striker that we did not have at Real Madrid." Manuel Romero. Host: I know that one of the things that you do as a scout is that you look all over the entire country of Spain. You look in the big cities, in the small towns, and you are scouting talent everywhere. And I know that in your search over the years you came across Mariano. Can you talk a little bit more about Mariano and his growth as a player? Guest: Well, Mariano is an example of permanent improvement. As a boy he played in the Premial, his city team, although he was born in the Dominican Republic. After that, he was signed by Espanyol. In Espanyol he did not make the cut filter and the end of the year because he was behind in physical development, so he went to Badalona. And, it was while in Badalona when he completed his physical development and began to stand out in the Juvenil category. And that's where I was fixated on bringing him to Madrid because he was a type of striker that we did not have at Real Madrid. We had very talented players but not as striker that was as much of a warrior as he was, so hardworking, so involved. And also with the virtue of being tremendously competitive as he is demonstrating this season at Olympique de Lyon. He has already scored 14 goals. For this to be his first year at the French league, in a league that he did not, is quite good. At Real Madrid the challenge was that Karim Benzema and Álvaro Morata were ahead of him; two international players, well established. And he did not have the opportunities that he would have wanted because Real Madrid has a very high level of demand, the team must go out to win every week. And the player this year has gone to Lyon and he's doing it really well. I say that he is an example of constant improvement because nobody has handed it to him. Every day he knows that he has to improve. He is still as humble as when I first met him.
" (At Real Madrid) We had very talented players but not as striker that was as much of a warrior as he was, so hardworking, so involved. And also with the virtue of being tremendously competitive as he is demonstrating this season at Olympique de Lyon." Romero speaking about Mariano Diaz. In fact, yesterday when he finished his match against Villarreal where Lyon won their match in the Europa League, I sent him a text to congratulate him. It was very late and he replied to my message before going to sleep. It was a late hour in Spain, it was 1:30 AM already. In other words, he is a very grateful and hard-working guy. And I always tell him he has many possibilities to keep improving because he still has flaws to polish. And, he is aware of that. And I think that's why he's very grateful with me, because I always tell him the truth. When he does well he does well and when he doesn’t, he doesn’t. And he knows that what I tell him is the truth; that he still has many possibilities to continue progressing individually as a footballer. Yesterday he played a great game against Villarreal. In fact, today there have been newspaper headlines featuring some of his plays from yesterday's game, comparing him to Ronaldo Nazário in his prime. Nothing is further from reality, he still has a lot do to reach that level. But really I am so happy because he is humble, hardworking, with a good head on his shoulders, he knows he wants to succeed. He loves football. There are many players that are not passionate about their professional football life, but he does. And, he deserves all the good things that happen to him. Nowadays he’s very hopeful with his goal of one day getting a national cap for the (Spanish) absolute team from Lopetegui. But it won’t be easy either because there are very good forwards available for the national team, and the coach cannot take all of them. But he now has the goal to be able to make his debut with the Spanish national team jersey. And I am sure he will fight for it because he is a warrior. Nobody has ever handed anything to him, he has had to work with lots of effort and that is what has taken him to the level where he is now. And, I am sure it will take him to an even higher level because he can still climb to a higher echelon within his capabilities as a footballer. I am convinced that he will reach new heights because he has not changed as a person. Continues to be humble, he doesn’t have a big head. And, in the long run that is what makes him get ahead. And he is getting ahead with very good grades. And, every time he gets better grades. I really am very happy about all the good things that happened to him because I know how much he has suffered. A boy who was at Espanyol, and he was passed. He had to go to a more modest club like Badalona. Then I arrive at Real Madrid. At Real Madrid every year he had to pass trials until he made the first team. And now he has had to leave Madrid because of the circumstances, because not everyone can play at Madrid. And, at Lyon he is proving that there is a chance that we will enjoy Mariano for a long time as one of the great strikers in European football. Host: This concludes this episode of Rethinking Football. Join us for the next episode as we talk with Manuel Romero about the Cerdanya Cup. 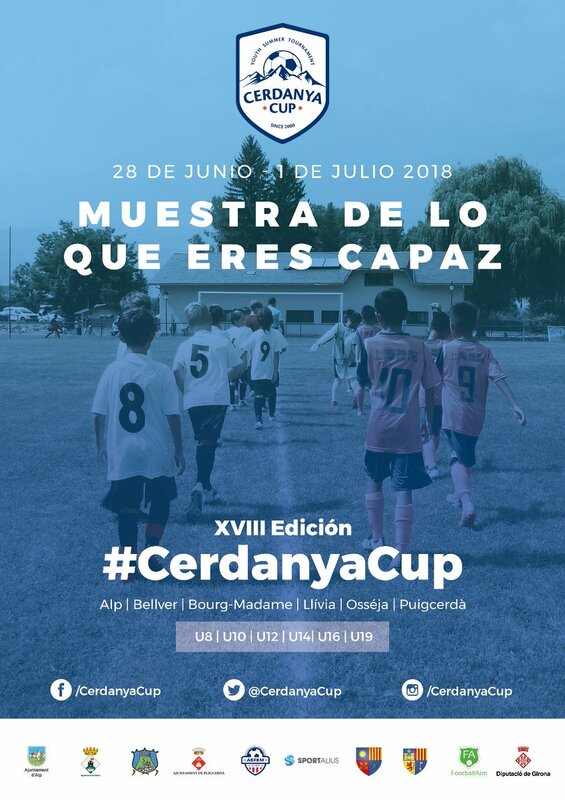 An international tournament that serves as a stage for young players from all over the world to be seen by scouts as they compete against top academy teams from Spain.